Creating that one point of attention and conversation is not only your signature on your outdoor space, it sets the environment for everything else experienced. 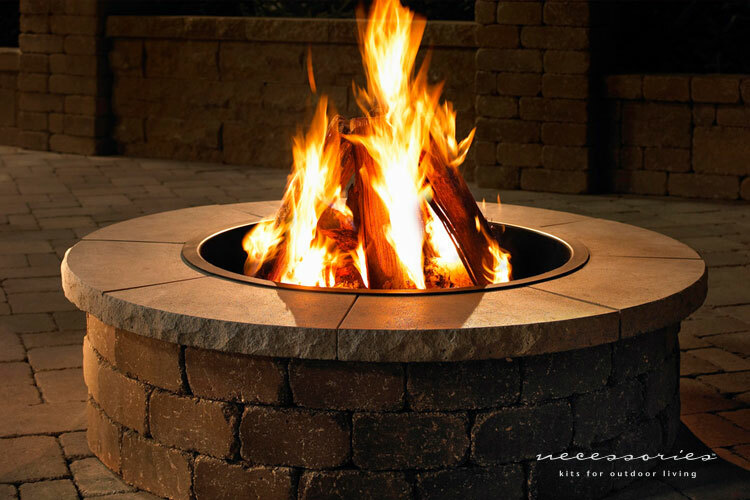 Add a splash of water or a bring flame to keep your guests and family mesmerized and relaxed in your outdoor space. Easily create a waterfall through a stone or block wall with any of our Atlantic brand fountain systems. and add LED lighting to extend the fun into the night. 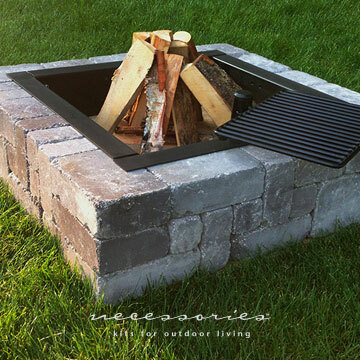 creates the ultimate backyard setting. while the classic koi pond shows nature’s full brilliance right in your own yard. Atlantic’s Fountain System is the easiest, fastest and strongest way to build a water feature out of just about anything. During the past 20 years we have created and helped customers create thousands of water features – and we have grown serious about using the right products that deliver on ease of use for the years to come. We’re proud to be an exclusive master distributor of the Atlantic Water Gardens product line – because Atlantic products are the best quality and smartest options available. We have the full line of Atlantic products in our store, ready to go each day; and as a bonus at prices lower than you can find on any website! We have a huge selection of drilled rocks and columns – come pick out your favorite today. Complete kits make setting, plumbing and running your feature as easy as plug and play. All components are Heavy Duty and designed to work together to beautify any hardscape. With systems that will handle any size, any shape and any load, the only limit is your imagination! These kits are a perfect DIY project. Keeping your water feature clean and beautiful is likely easier than you think! Too many people promote expensive equipment or complicated chemical treatments to keep a water feature looking healthy, even though many such solutions don’t make the water actually healthy. Clean, clear, healthy water is a natural occurrence and simply needs to be supported with three things: lots of dissolved oxygen in your water, natural and safe bacteria, and ideally some beautiful water plants. We have the knowledge and passion to help you apply these simple ideas to your water feature, and all the products you need along the way. 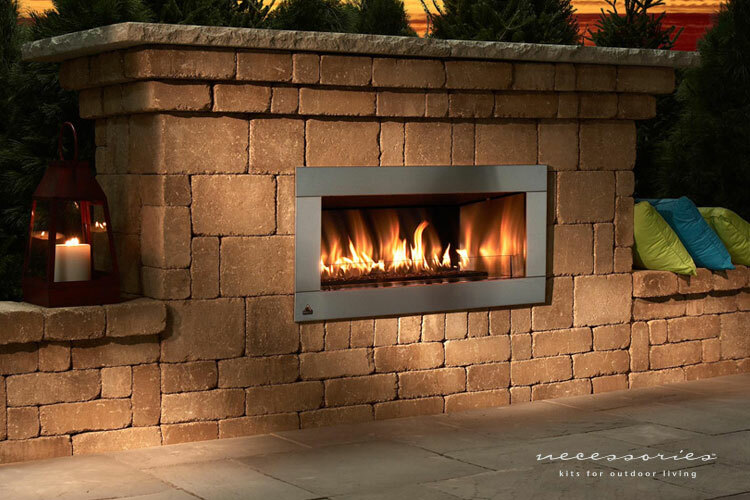 A fireplace is the perfect centerpiece for your outdoor living room. Its appeal comes from its large profile, universal design and aged appearance. 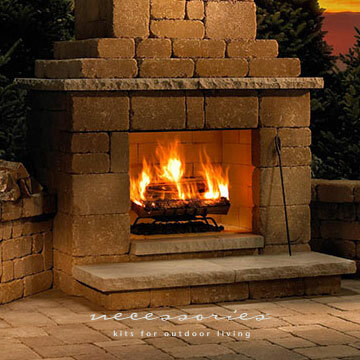 Prebuilt or DIY, gas or wood burning, our brands have the configuration you’re looking for. 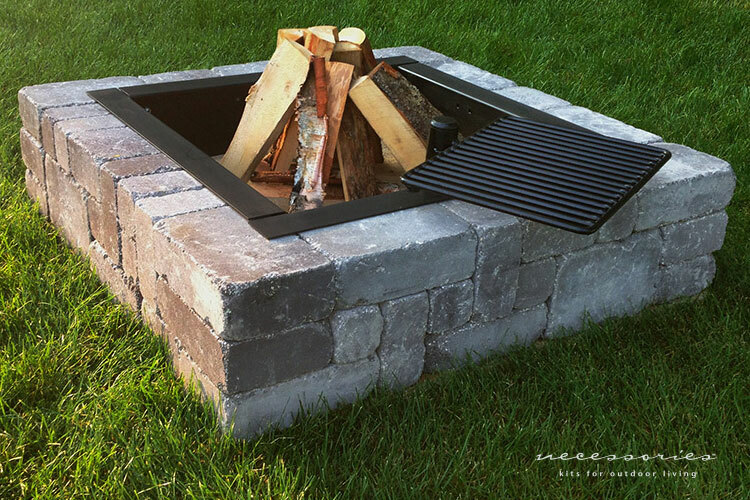 Want a more casual setting than a traditional fireplace, our fire pits deliver an affordable crackle perfect for roasting marsh mellows with the family. Build with block systems that stack a lot like a Lego kit. We feature lines from RCP – Necessories and from County Materials. 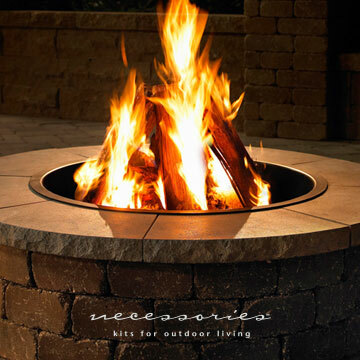 Each Necessories outdoor living kit comes complete with everything you need to build, including precut block sized to fit, reinforcements, adhesive, and easy to read, step-by-step instructions. Two people can build most kits in an afternoon or less. NP or LG gas options are also available. 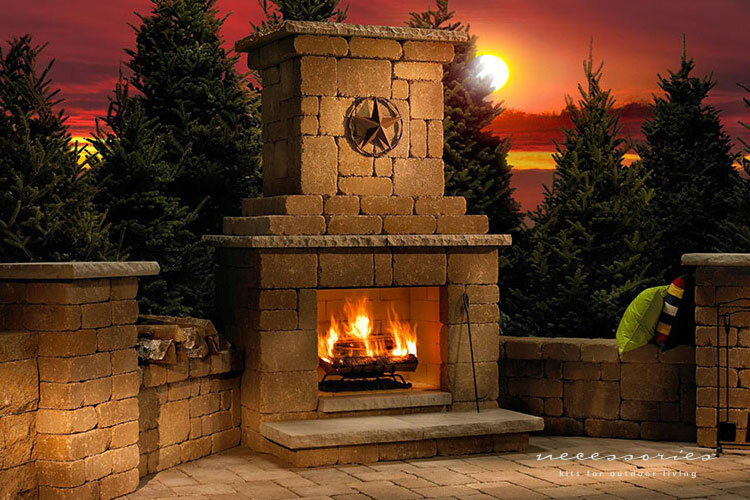 Imagine a crackling wood fire and marshmallow roast with pre-built items from Borgert. 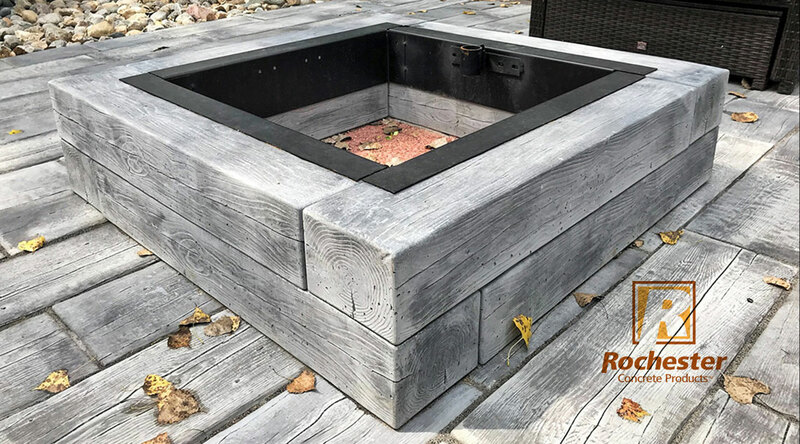 All Stone kits include integral concrete feet, to allow movement after assembly if desired, and to create air space for applications where clearance may be required, such as installations on wooden structures. These pits may be easily converted for gas operation. 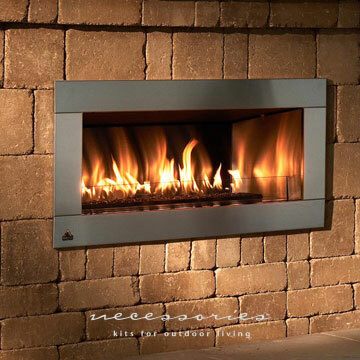 Lining with firebrick is recommended for wood burning applications, but is not necessary for gas operation. We offer simple stack kits with a high quality steel insert or grate (RCP / Necessories and Borgert / Strassen). You can also choose a veneered option – onto a steel frame (Firegear) with our Kodiak or Halquist stone. Talk about a gorgeous statement piece – these DiY kits are economical, easy to load and install. These (8) piece kits are available in (2) granite colors and (3) Kasota colors. Stop by to pick your favorite stone and take it home to install – same day!